New South Wales boasts cetaceans in abundance, with southern right and humpback whales migrating north each year (June-July) from Antarctic waters, before returning south (September-November). 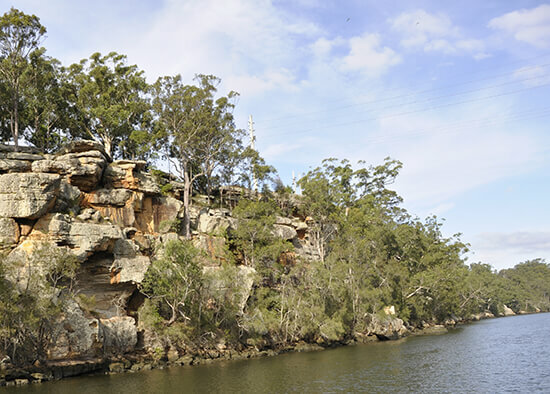 In fact, they've been passing through New South Wales for centuries – aboriginal rock carvings found in Sydney Harbour's Foreshore are estimated to be about 1,000 years old. The city is a good place to start spotting these mighty mammals as well, with humpback tours departing regularly. Byron Bay to the north is another spectacular hotspot, while Coffs Coast Regional Park's Woolgoolga Headland offers arguably the best vantage point: a 250-degree view of breaching whales. Take a walk up Tomaree Head Summit near Port Stephens before rewarding yourself with whale sightings as they pass up the coast while, south of Sydney, Jervis Bay and Wollongong are best for both boat tours, not to mention spying whales – and bottlenose dolphins – from land (try Stanwell Tops and Booderee National Park). With its azure-blue and wildlife-rich waters, New South Wales is a haven for scuba divers. Leave the beaches of Byron Bay behind and head to nearby Julian Rocks Marine Reserve, where you'll find yourself swimming among manta rays, turtles and leopard sharks. Don't just cling to the coastline, either. 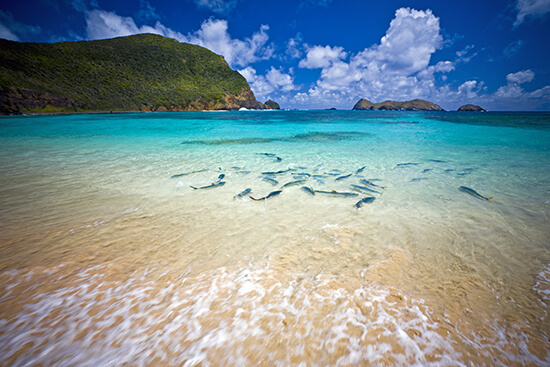 About 370 miles east of the mainland is the UNESCO-protected Lord Howe Island, home to the world's most southerly coral reefs, which are a web of volcanic drop-offs, caves and kaleidoscopic coral, home to endemic creatures like the double-headed wrasse or the Spanish dancer. Turtle lovers should head to Solitary Islands Marine Park where you can brush shoulders with the shells of green, loggerhead, hawksbill and leatherbacks. But we reckon Shellharbour is the real jewel in New South Wales' diving crown. It’s a treasure trove of scuba sites: giant cuttlefish and bull rays roam The Gutter; Bass Point Reserve is home to swathes of littoral rainforest; and Bushrangers Bay Aquatic Reserve is full of pipe horses, sea spiders and other tropical fish. Still got energy left in the tank after diving NSW's great reefs? Then getting your rush above water has to be your next port of call. Whether you want to glide along a coastline, paddle through a creek or float through an estuary, the state is unrivalled for adrenaline seekers. Grab your paddle and kayak through Bongil Bongil National Park – keeping an eye out for its most famous resident, the koala – or float through Ballina's mangrove forests or the wilderness of Ben Boyd National Park. If you're near the south coast, then paddle boarding is an ideal way of exploring Shoalhaven's stack of inlets and bays, joining dolphins as you peruse the coves. The calm, cobalt-blue waters of Jervis Bay are also a good option. More oar-some adventures can be found canoeing the placid gum tree-lined Edward River in Deniliquin or, if you're heading there in the summer, sweep down the alpine streams of Kosciuszko National Park against the backdrop of its namesake peak – the highest in Australia. Still craving more watery wonders? Well if you fancy taking a dip into the extraordinary, New South Wales has emerged as a leading destination for wild swimming. The state isn’t short on relaxing spots to cool off in: try the rainforest-flanked Tehuti Falls, the tranquil pools of Mulligan's Hut or the rocky amphitheatre and 10m-high waterfall at Kariong Brook Pool. The glass-like Lake Yarrunga is also peaceful and frequent dips can punctuate hikes to Morton National Park. 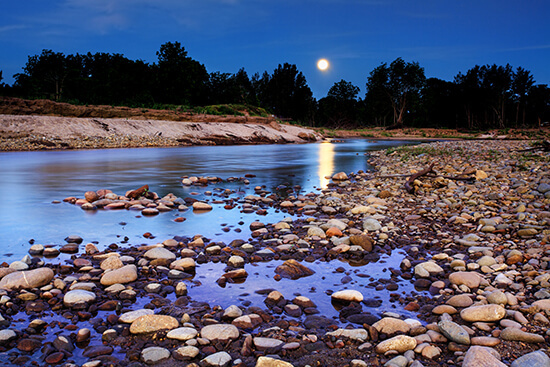 For a truly offbeat escapade, traverse the little-known Kowmung River – strewn with colossal boulders – or meander down Grose River, where sunlight shimmers off its pale green pools. What better way to top off your trip to New South Wales than with something quintessentially Australian? 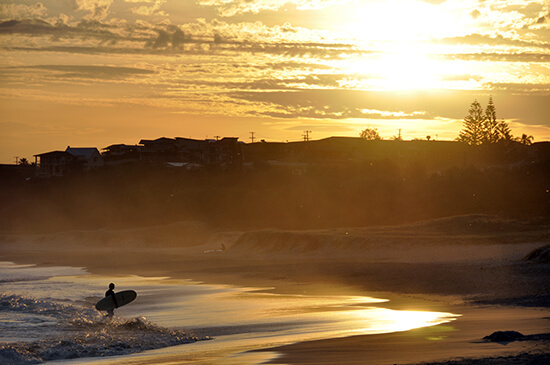 New South Wales is home to some of the most spectacular beaches on the planet – they roll off the tongue like a coastal hall of fame: Bondi Beach, Manly Beach, Byron Bay and Sydney Harbour all front a glittering show reel of surfing hotspots. Get on or underwater in New South Wales with help from our Travel Experts. Speak to the team today to plan your tailor-made Australia holiday.